would you like to write a letter to your granny and grandpa? or to your best friend? you can do it with this fountain pen. then it is sure to be a beautiful letter. colour the colouring page in pretty colours. 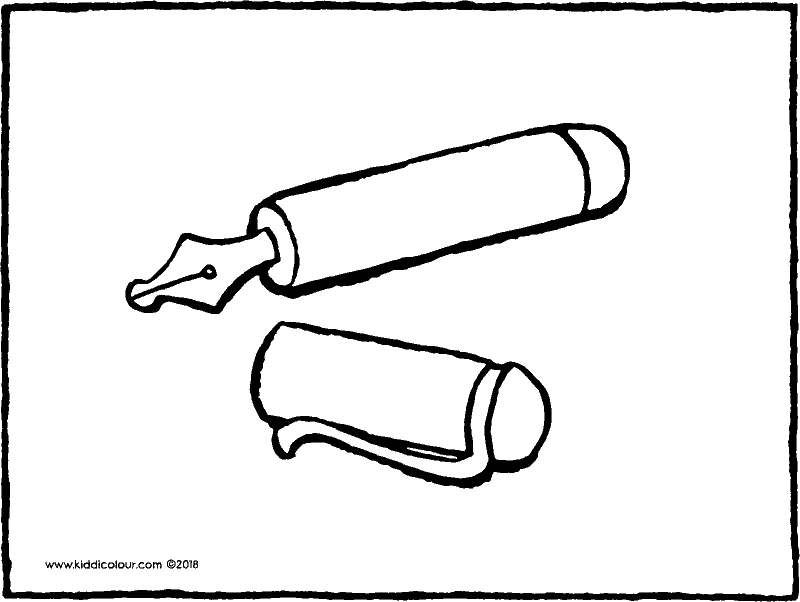 and write your name on it with a fountain pen. Thomas is sitting at the kitchen table. 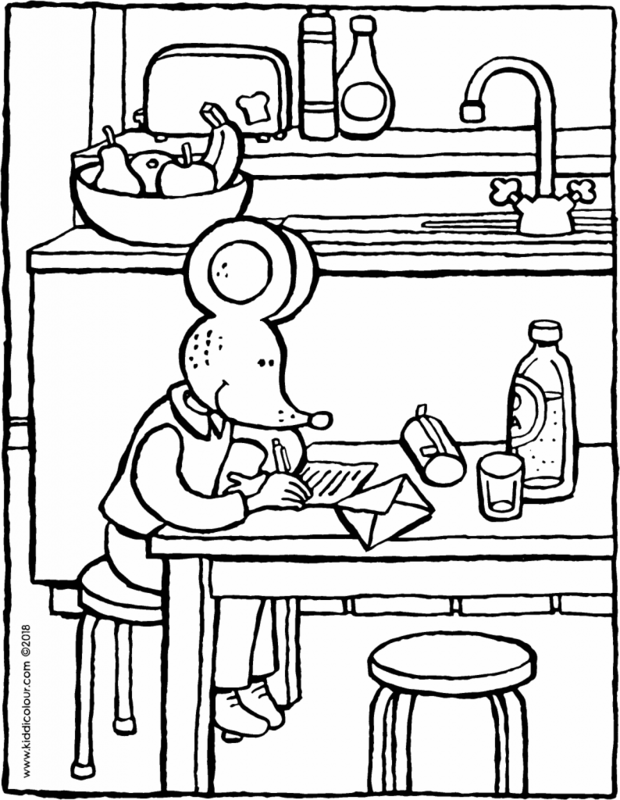 he’s writing a letter to his granny. Emma and I are both well, Thomas writes. when are you coming back home, granny? colour this drawing in pretty colours. write a letter to someone and put this picture in the envelope with it. 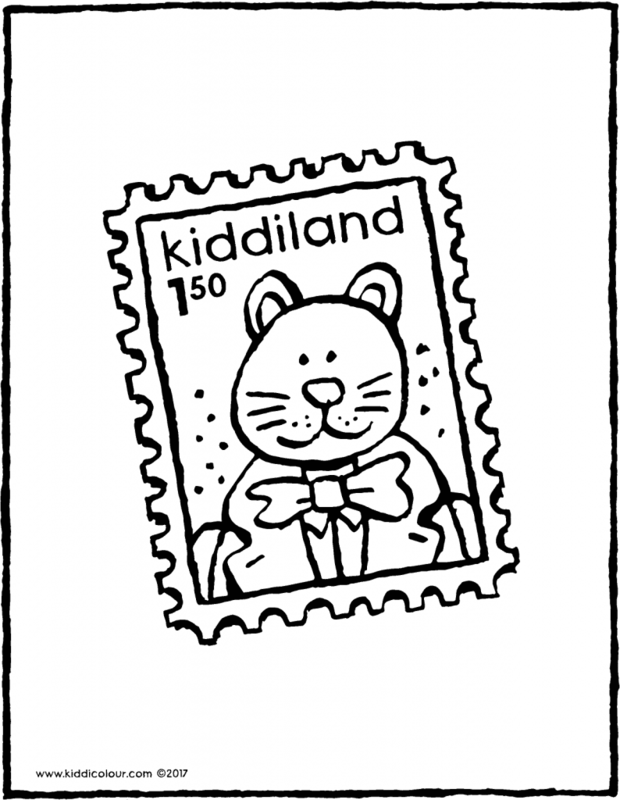 you stick a stamp on an envelope. then you post the envelope in the postbox. the postman takes the letter to the right address. colour this drawing using your favourite colours. 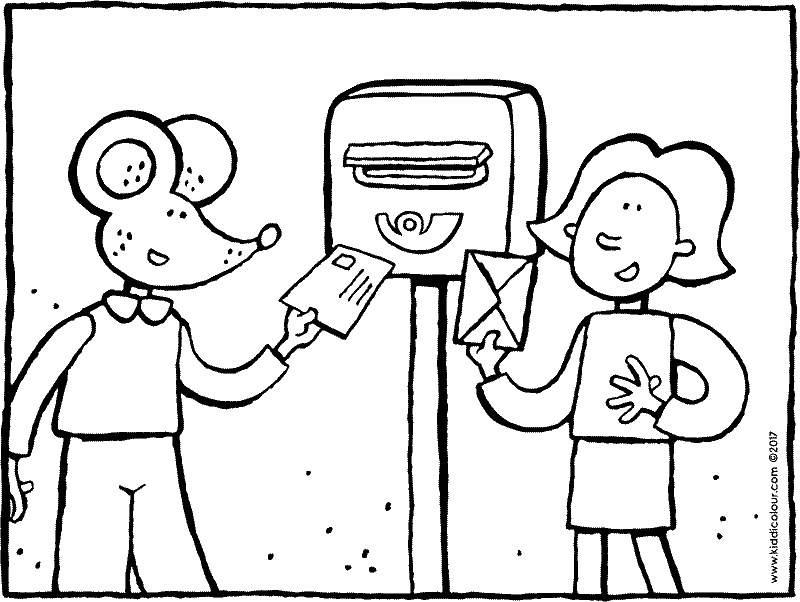 give the colouring page to a postman. or to a stamp collector. print the envelope and cut it out. 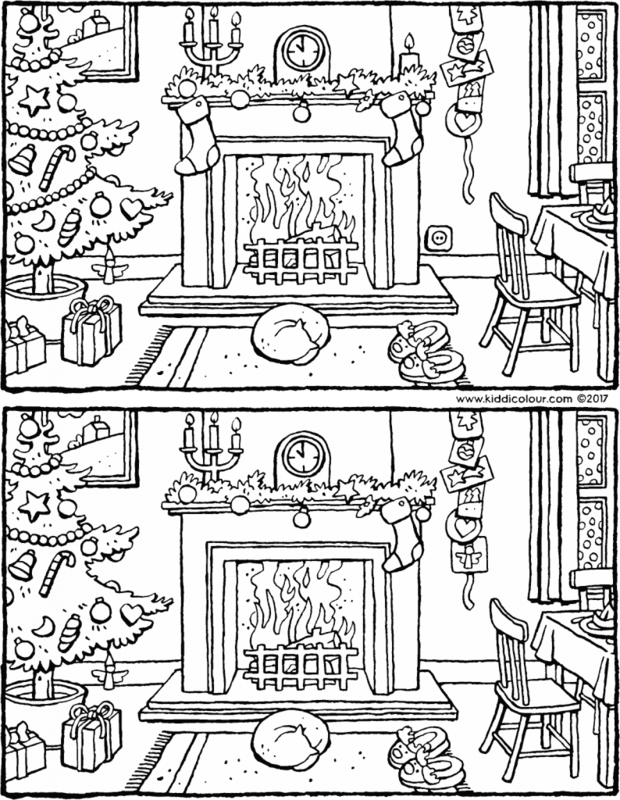 colour the picture on the envelope. 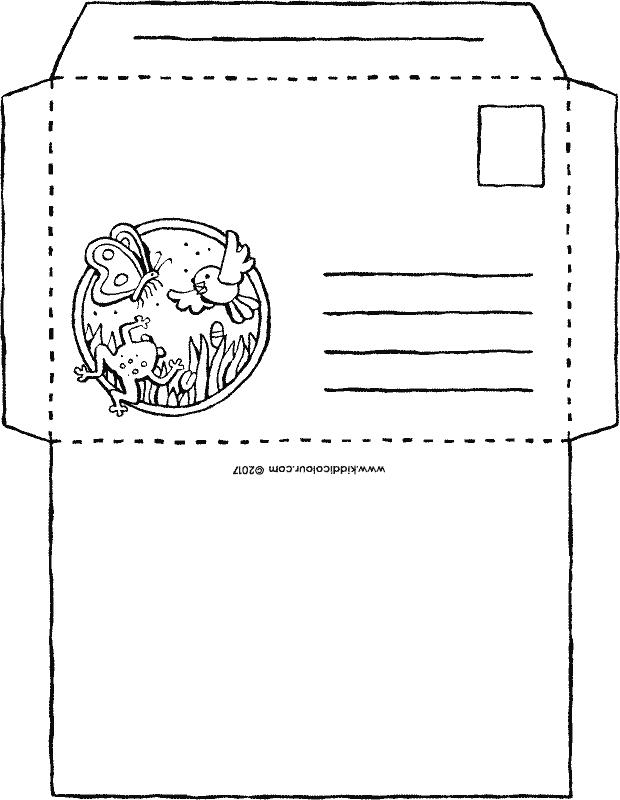 fold the envelope along the dotted lines. stick glue to areas 1 and 2 and stick the envelope shut. put a card or a letter in it.